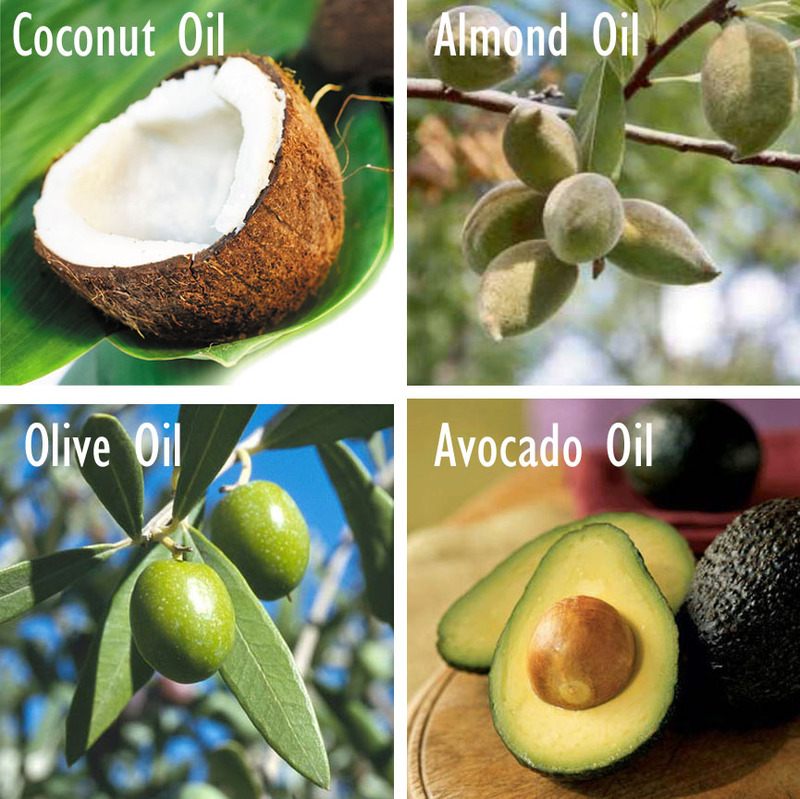 Coconut oil and olive oil are my main treatments. I do one or the other once a week (on the weekend). I feel like I lose more hair when I do the oil treatments but the hair is over all lot better after the oil treatment!! I usually leave it on over night and put a towel over my pillow. Ive never used a mask before, but I am tempted to try!! I swear by coconut oil. I also like mixing it with bannanas and you have got yourself a super natural hair mask. 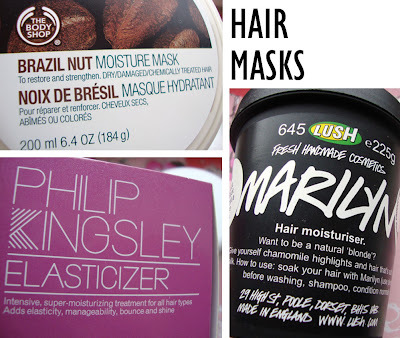 I still need to try the elasticizer - how often do you use these treatments on your hair? @Shellsea Oooo I have never mixed coconut oil with bananas, I must try that!!! I usually use natural/organic oil for my hair masks, but I also do have marylin mask and I must say it works great on my blonde hair! I mix it all together and leave the mask on my hair at least an hour. bir ara TBS fındıklı saç maskesini kullanmıştım memnundum ama şimdi daha farklı ürünler kullanıyorum. I must try that brazil nut one. That's my favorite body butter. My hair is in need of some TLC. i've tried the Kérastase Masque Oléo-Relax but found the smell to be overwhelming and it weighed my hair down a lot. i already have thick wavy/curly hair so i didn't need the weight. i prefer this Kiehl's hair mask that they've since discontinued but it was pink and had a pepperminty smell. right now my hair is quite healthy because i haven't coloured it in ages and i only blowdry and straighten my bangs. but i still want to try a mask for extra nourishment so i'm looking for a light one. any suggestions? Although when I want to "weigh my hair down" to aid my straighteners perform at their best, I use a hair mask as a conditioner- it works wonders! I had the same aim as you a year ago Muhsine, and now im at the stage where its almost too long. I just never get it cut! I use a semi permanent black dye which fades to a nice colour and i use the intensive conditioners that come with the dye for about 15 mins every week, my fave is Loreals casting creme gloss, the conditioner is amazing! I really recommend not cutting! Its a pain for a while, but now mines the length i want and i love it!.. plus its in great condition i get so many compliments about shine and lenth! Keep going you'll get there! I'm in the same position as you!! wanting to grow my hair and buying loads of products to try to help it along the way!!! I find it gets so boring growing your hair but I'm determined! don't cut it your hair looks sooo gorgeous!!! I love your posts they're always so useful I don't use anything on my hair cause I didn't know where to start and I didn't want chemicals in my hair...Coconut's oil sounds perfect for ! your hair looks in fab condition- eurgh you should see mine! ***shame*** It really needs a cut! I love your page by the way! I love giving my hair a massage with warm olive oil every weekend.. for a super conditioning mask try the egg-olive oil conditioning mask.. basically one egg whipped with olive oil and a tiny bit of lemon juice/vinegar..smells as bad as it sounds but money can't buy the shine you get out of this thing.. I'm trying to grow my hair out now as well and am using Amla hair oil.. it is really working!! I apply oil to my hair twice a week. I put in Black Castor Oil on my scalp/roots, and leave it overnight. I also use Dabur's Vatika (has coconut oil, henna and other natural ingrediants). I warm it up and apply it to my ends, and leave it in for around 6 hours. I tried Lush's H'suan Wen Hua because my cousin RAVED about it - but it didn't do much for my hair at all. Have you ever tried it? ok, something totally offtopic :) but after i've read your first makeup storage post i liked your laura ashley drawer box so much i just knew i had to have it. so after 6 months i finally got someone from london to buy it for me but now i need to know how much does it weigh. Do you have any idea are those boxes under or more then 2 kilo (when empty) ? What really helps to speed up hair growth is contrast shower , cold - warm, cold -warm for a few times and finish with cold shower. My hair is waist length and I swear by this method. And it doesn't cost a dime. hey bubblegarm! I use the Ojon Restorative Hair Treatment once a week- I usually leave it in overnight and then wash it out in the morning, and it leaves my hair so soft and moisturized. My hair is fine and I highlight it so I have to take extra care of it. I think my hair experienced an important change when I tried the range Bonacure from Schwarzkopf. I like the color save or the hair repair treatment, both are great. I also use the shampoo and since then, my hair is stronger and revitalised. You should continue with coconut oil based products. I believe the Indian brand Dabur enriched coconut oil has additional aryurvedic herbs in them to stimulate hair growth. Best of luck with it--I think your hair is gorgeous anyways! I can't wait to try the coconut products, my hair is a disaster from monthly lightening!!! I use L'oreal nutri gloss masque (the pink pot - available from supermarkets) it's amazing for making your look so glossy! Coconut oil and indian gooseberry oil is good for hair, I personally used it makes my hair soft and shiner. I like picking up some protein filler at my local beauty supply store and adding it to my deep conditioner, then leaving it on for 5 minutes or overnight and rinsing in the morning. Also, I've noticed that by leaving my hair natural most days and only using the blow dryer/flat iron once or twice a week my hair has gotten really shiny and healthy!